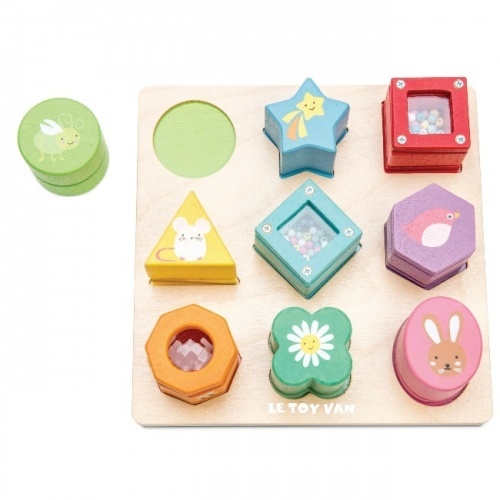 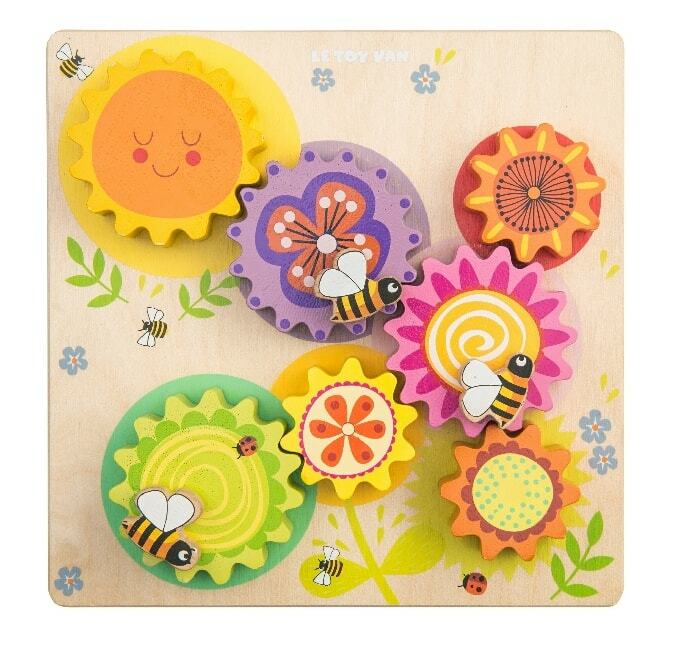 Toddlers will love this bright and beautifully illustrated wooden activity toy from Le Toy Van featuring a flowers and bees design. 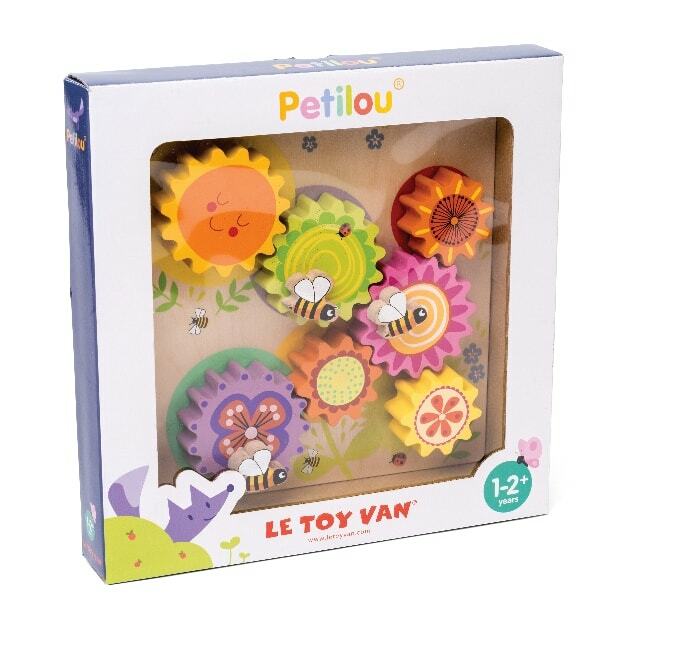 This educational but fun toy comprises of seven removable cogs and gears. 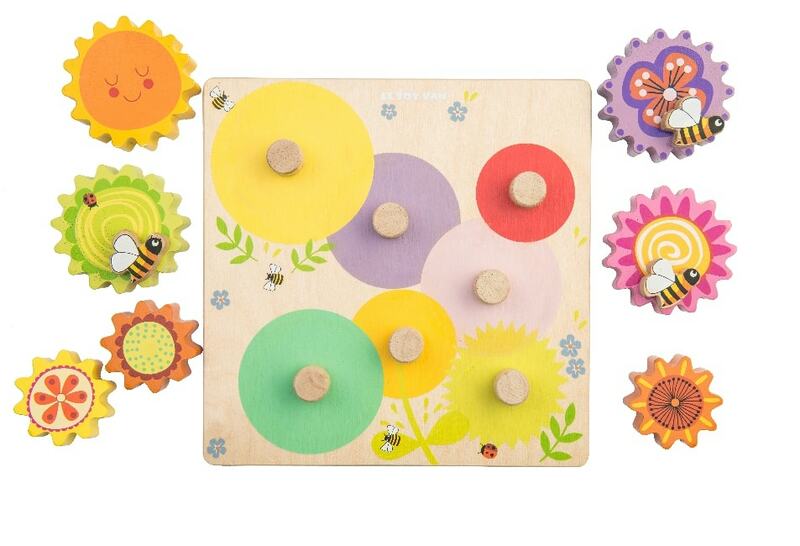 Little ones will have great fun placing the different sized pieces on to the board and using the three wooden bees to turn the pieces round and around while understanding the mechanism of the cogs and gears. 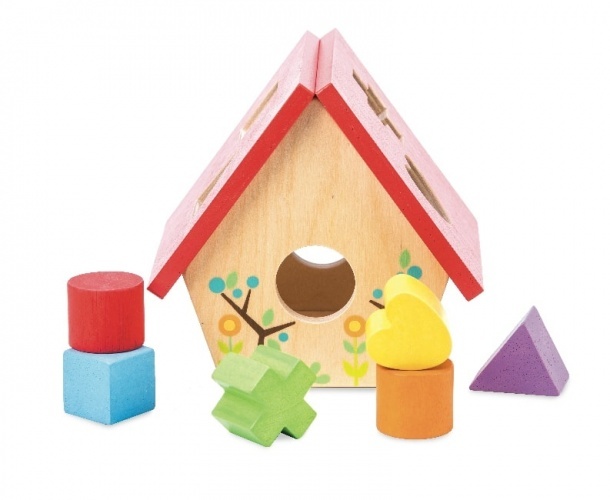 Supports cognitive development and colour recognition.